German company Qkies combines QR codes and cookie mix to create edible personalized messages. Qkies is a cooperative project of Juchem Gruppe, a German food trade company, and DFKI, the German Research Center for Artificial Intelligence — can be used as a playful alternative for a variety of things, from party invitations to business cards. Qkie cookie mix is available online at EUR 6.90 per box, and will make 20 Qkies. 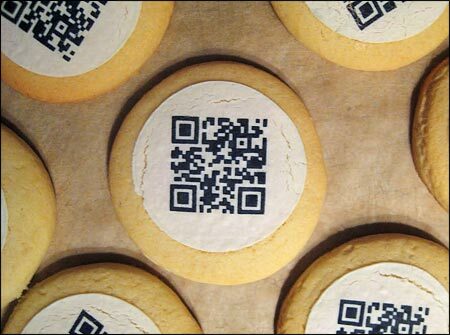 Consumers make and bake the cookies before decorating them with the enclosed QR codes, printed on edible paper. The recipient of the cookies scans the QR code with their phone to be directed to either a video on YouTube, a photo on Flickr or a personalized web page containing a specific message, as dictated by the sender.